« Delusional? Does this show up in hands? 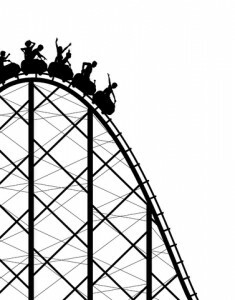 Do you feel like your life is a neverending rollercoaster ride? One moment high the next you’re plummeting into the pits? 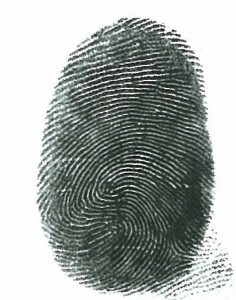 For the next few weeks in Earth School the focus is on composite fingerprints. How can knowing about them help you? What to do if you have a whole handful of composites? On May 26th 2011 I’ll be interviewing Richard Unger again, author of LifePrints: deciphering your life purpose from your fingerprints- on this topic. If you have a composite prints in your hands or fingerprints its time to listen in. What does a composite look like? There are lots of different types and we’ll be exploring many on this blog in the coming weeks. The most common type is the composite whorl. This looks a bit like a yin yang symbol or an “S”. Some schools of hand reading call this a double loop. What about two composite on the thumb ? Could you send me a copy of your hand prints to be used in the next call with Richard? Perhaps your left Jupiter is a radial loop with a slight backpack. It’s a common reading error to call this particular formation a composite or a gamut. Radial loops are most commonly on Jupiter/index fingers. I discussed an example of this with Richard during the last advanced theading call. (Crossroads). Compare your print to the one discussed during this call. I’ll paste up another example of this in the inner circle membership zone. Composite whorl on left thumb: the roller-coaster is family works/family doesn’t work. The most important and brilliant aspect of finger print is that there are millions of people in this world but every one has unique finger print this point is clearly mentioning that there is the one who is superior of all. sorry Jenna I did not respond before. Was away, then had problem with my computer. I will compare with the crossroads threading call. I’ll send my print tomorrow. The threading is this nextThursday – may be I am too late! Never mind should it not work. THANKS SO MUCH FOR ALL YOUR GENEROUS SHARING. HI, best you read about them in detail in LifePrints deluxe.